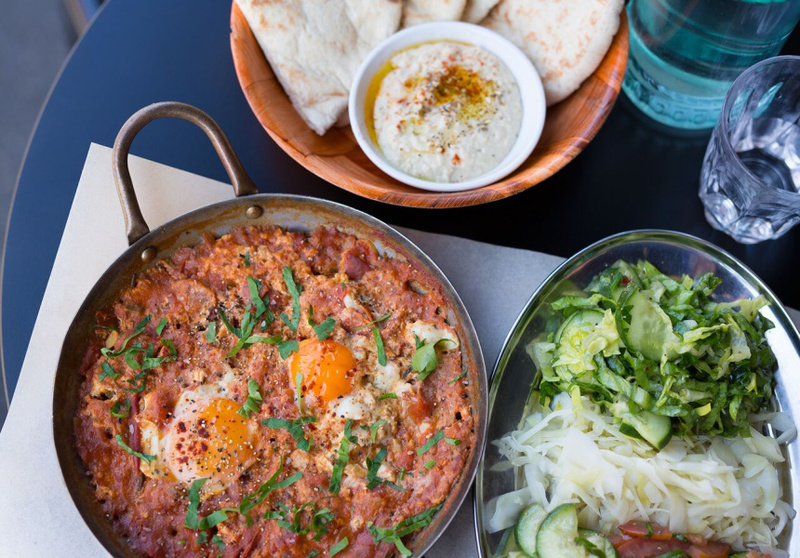 While Roy Sassonkin, a Tel Aviv-born chef brings something new to Northcote with his Israeli street-food bar, Tahina, he’s kept a bit of the past, too. The High Street site was a fish-and-chip shop for 46 years, and Sassonkin has held on to the huge shark head sculpture out front. 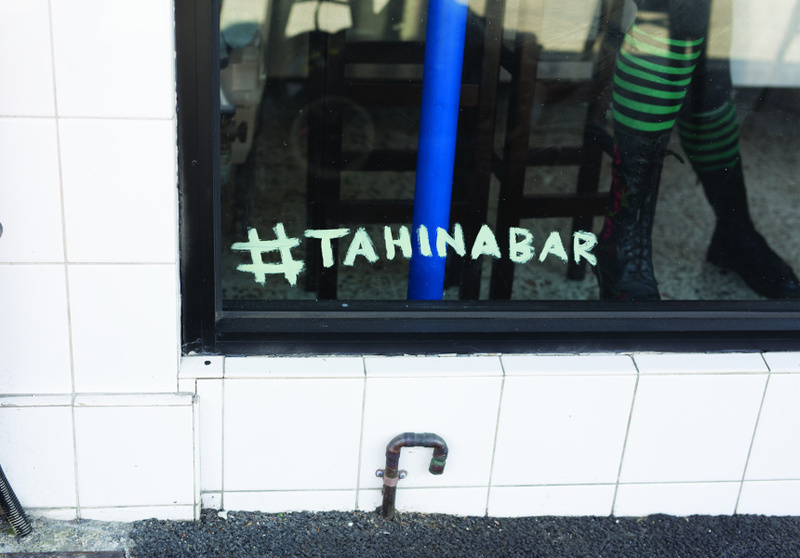 Tahina is an entirely vegetarian Israeli street-food spot with some vegan options. 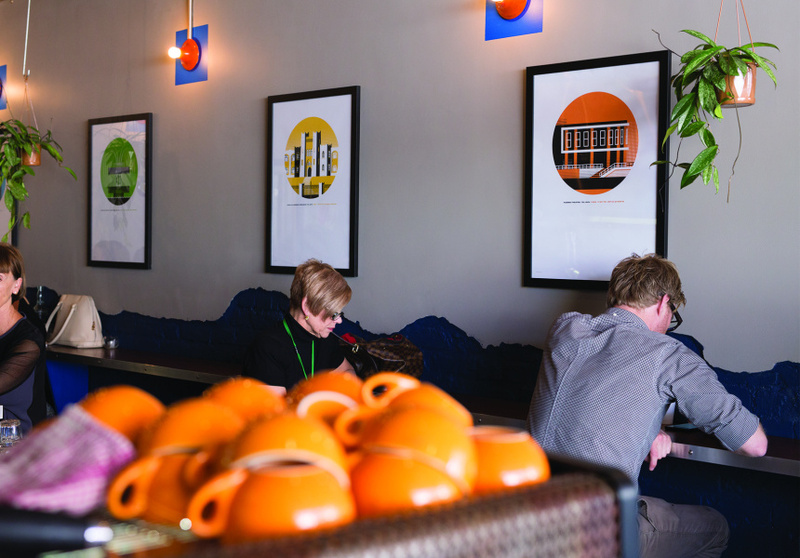 It’s affordable, chilled out and casual. It’s also very small, with only a few seats at the bar, along the wall and outside. Signature dishes include the traditional baked-egg dish, shakshuka, in three “colours”. The red one comes with a spicy tomato sauce and is served with a pita pocket, salad and pickled cabbage. The green version is with broccoli, avocado, and zucchini. The white is mushrooms, fennel and Jerusalem artichokes. Its other specialties include falafel pockets or platters to serve two; a crispy eggplant with kale chips and tahini; and a six-hour roasted cauliflower, cooked in lemon juice and garlic until very soft and served with tahini. Tahini also features in the dessert section, with a tahini affogato and tahini and Medjool-date ice cream made by Billy van Creamy.